Fresh Fruit Popsicles | Whole Food. Real Food. Good Food. Since my kids have been home from school for summer break, they have been asking for popsicles. 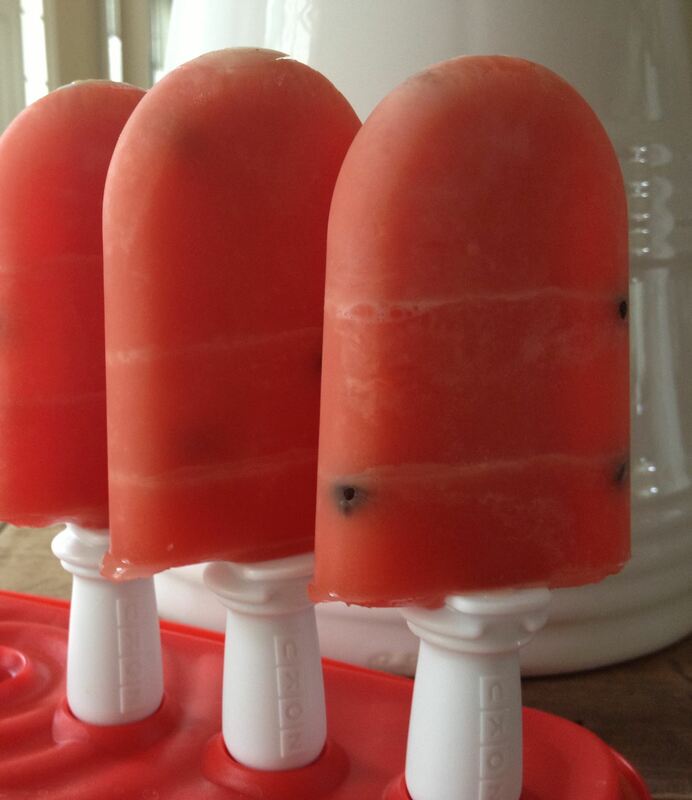 We decided to try and make some using our juicer and our Zoku Quick Pop Maker . 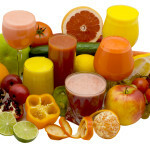 We use the Omega J8006 Nutrition Center Juicer. 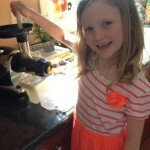 The Zoku is stored in the freezer and can make up to six 2 1/4″ x 3 1/2″ pops (two 2-oz. pops at a time) before refreezing the unit is required. Each set of pops takes about 7 minutes to make. Simply pour the juice into the mold and wait seven minutes for it to freeze. I added Enjoy Life Semi-Sweet Chocolate Chips to the watermelon pops for the “seeds”. These chips are certified gluten free, contain no wheat, dairy, peanuts, tree nuts, egg or soy. 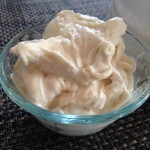 They are also made without casein, potato, sesame or sulfites and contain no trans fat or cholesterol. 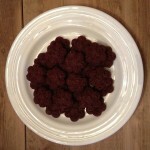 They are certified kosher, vegan – no preservatives, all natural. I replaced our Toll House chips with these chips without telling my kids and no one knew the difference. Another flavor we made this week is mango. 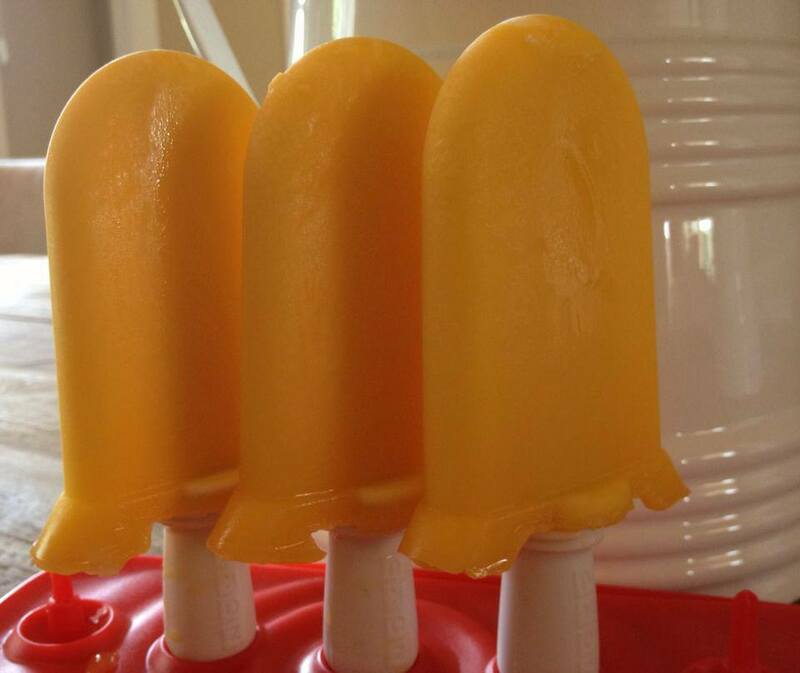 The only ingredient in these pops is mango juice and they are delicious! The possibilities are endless. As we come up with new recipes, I will be sure to post! ~ Focus on foods you should eat, instead of what you shouldn’t.